New calendar for 2020 arrives September 2019. 2019 calendar is reprinting late February for despatch from 1st March 2019. 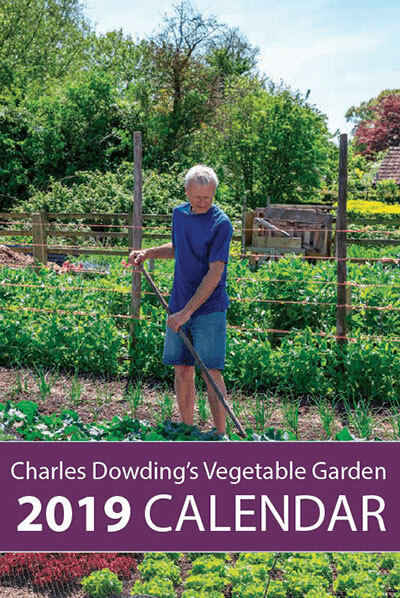 The calendar is A4 opening to A3, with 28 pages of advice and photos from Charles’ beautiful vegetable garden. 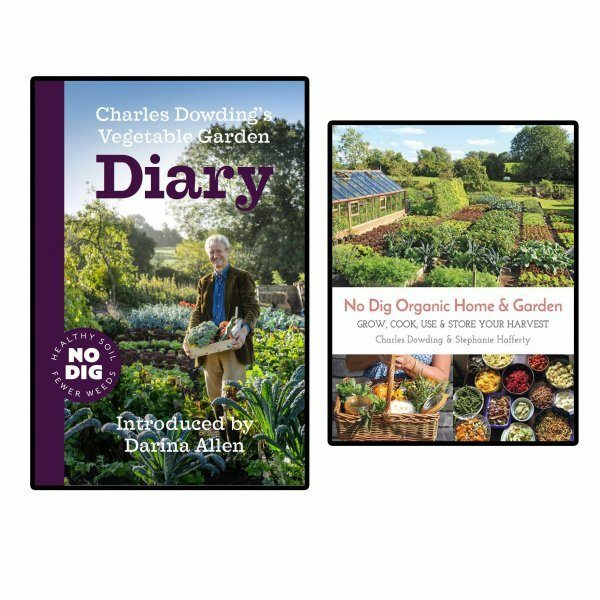 Charles gives a veg growing summary for each month, plus his favourite sowing dates for each vegetable at their best times of year, based on decades of fine tuning. You can then have a regular supply of fresh produce throughout the season. 28 page A4 Opening to A3 Calendar printed on 200gsm Premium Gloss Paper, with 350gsm cover, despatched in a 350gsm/500micron White Card Envelope. Hole-punched, for hanging on a wall. Discounts for larger orders: 2 signed calendars for £16, 3 for £22, 4 for £27, 5 for £31. Enjoy the seasonal beauty of my famous vegetable garden, as seen on BBCTV Gardeners World, in national magazines, and in lectures around the UK and Europe. The calendar sowing dates are for a zone 8b climate in southern UK. 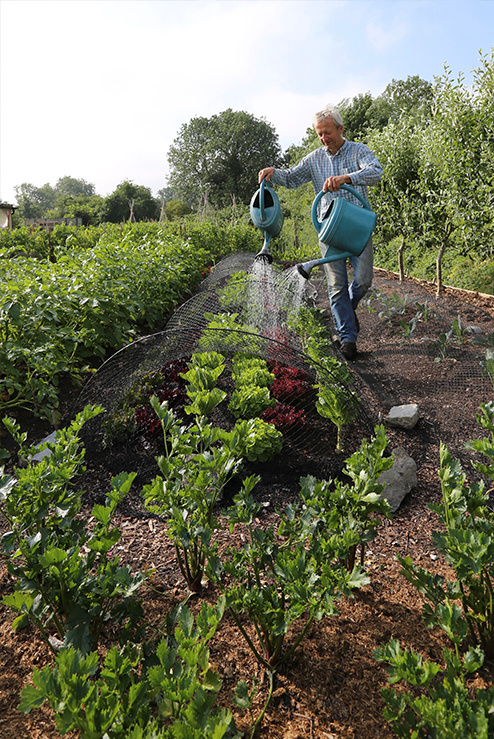 Sow later by a week or more in spring if your climate is cooler, then sow a week or two earlier in summer and autumn, from the solstice onwards. My sowing dates are based mainly on season/climate, and partly on moon phases. I combine two moon aspects for calculating my sow dates. One is the phases of root-flower-leaf-fruit, based on whether the moon is passing through an astrological sign with earth-air-water-fire qualities. The other is waxing and waning, where possible I sow on a waxing moon for faster emergence and stronger growth, especially just before full moon. However there are few dates when all the “good qualities” are present, so often one is using the main one or two of season, phase and wax/wane. Moon and sun give us a framework of action, it’s not a rigid rulebook. These calendars are signed and I can dedicate them if you wish. 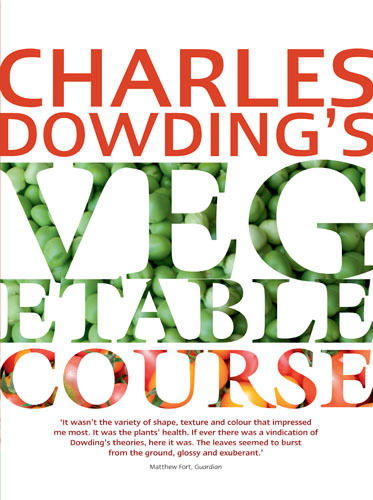 Charles inspires and advises thousands of gardeners to use his no dig method, for better harvests with less effort. The price includes VAT, even though it’s an information-full product, like a book and not ‘stationery’. I have just received my calendar for 2019. Thank you so much. It is absolutely brilliant, So many helpful dates in it also. The photography is very professional and it will hang pride of place on the wall. I can’t wait for the new season to start now. I’ve also noted the extra sowing times I need to add on to your dates being in the northern part of UK. This calendar suits me to a tee. It gives timings that prompt my sowing and planting. It’s not bulky but thankfully slimline – just as I wanted. The photos are lovely and inspiring and show Charles’ netting and hoop arrangements for protecting against hungry, non-human visitors. A perfect gift for me! I might buy another for a fellow gardener and friend. Ah thanks Liz, so happy to hear you like it.